Foothill Square Dental Center (Milpitas) - Book Appointment Online! 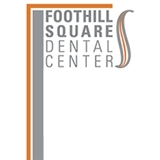 Foothill Square Dental Center performs a wide array of general and cosmetic dental services. Come learn about the various procedures and cosmetic services we provide at our clinic. Ms.Roshni Patel is a professional dentist and she is just awesome! The office is very well organized and very good customer service. Plus you won’t struggle when having to plan an appointment. She takes time doing her work and finishes it nicely.I would recommend this place to anyone!! !